Not much in the way of swell on Saturday with generally light winds, better Sunday with a touch more size with a new W'ly groundswell. 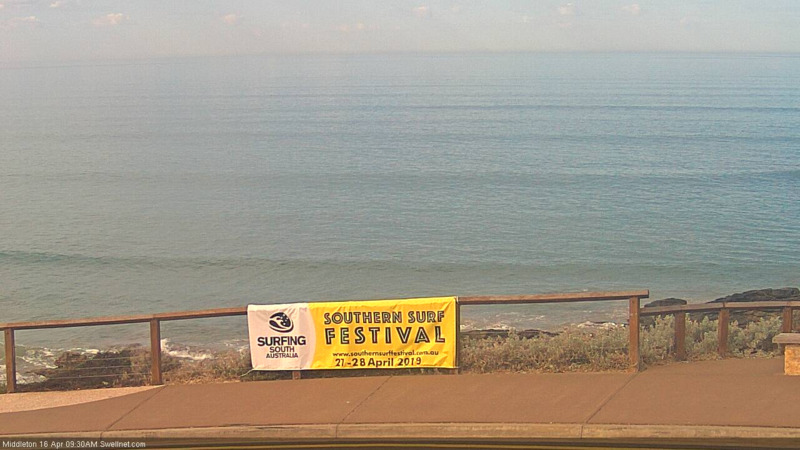 The Mid Coast offered inconsistent 1-1.5ft sets, with both regions dropping back in size today. Tomorrow will remain tiny across all locations but with favourable offshore N'ly tending variable winds. Our new W/SW groundswell for Wednesday is on track with a vigorous polar front forming around Heard Island and projecting north-east towards WA over the weekend, with it now moving east under their South Coast. The storm will dip south-east while weakening today, leaving a moderate to large W/SW groundswell to arrive through Wednesday and building to 2-3ft on the Mid Coast with sets to 3ft off Middleton. Winds will swing from a fresh morning N/NW breeze to the W/SW early afternoon, easing from the SW later. This will create average conditions across both coasts with the best chance for a wave being mid-late morning as the swell builds on the South Coast. A secondary vigorous and very strong mid-latitude front will push in on the back of the initial storm and project a fetch of gale to severe-gale W/SW winds in our western swell window today and tomorrow, producing a secondary moderate to large W/SW groundswell for Thursday. 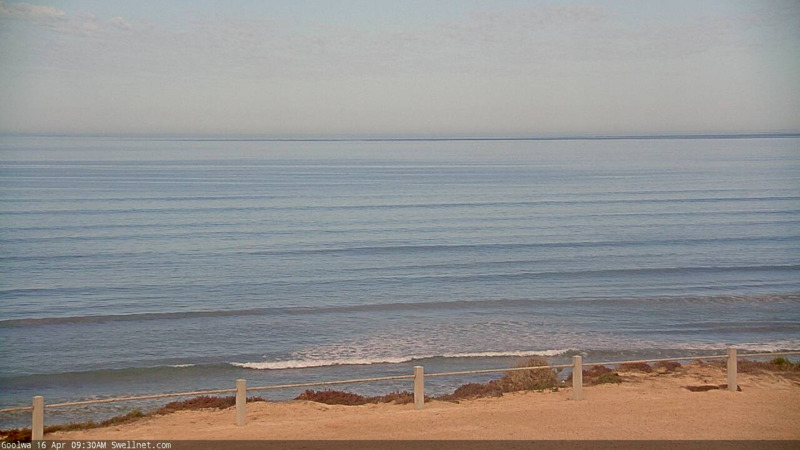 The Mid Coast should see 3ft waves if not for the odd bigger one, with Middleton coming in at 3-4ft, larger towards Goolwa. Winds will swing back to the E/SE on Thursday creating excellent conditions on the Mid Coast with improving but generally average waves down South with an E'ly. Friday looks better as winds swing around to the NE cleaning up the South Coast with easing sets from 3ft off Middleton and 2-3ft on the Mid Coast. 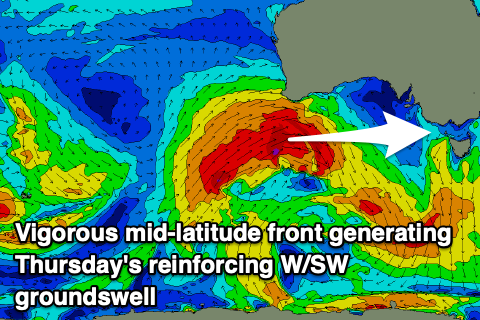 Moving into the weekend we'll see a mix of new W/SW groundswells filling in, the first arriving Saturday from a pre-frontal fetch of W/NW gales with a slightly stronger pulse Sunday from post-frontal severe-gale to storm-force winds. 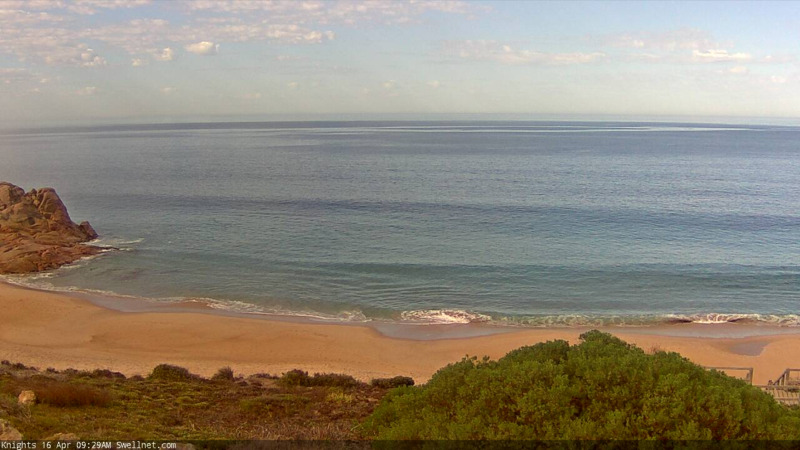 Saturday's swell should keep 2ft waves hitting Middleton with 1ft sets on the Mid Coast with persistent N/NE winds. Sunday's swell will be bigger and mixed in with some close-range W/SW swell from the remnants of the low moving under the country. The Mid Coast should build back to 2-3ft into the afternoon with a W'ly breeze, while Middleton looks to build back to 3ft to maybe 4ft. Longer term Monday looks fun on the Mid Coast with easing levels of swell from Sunday under a SE offshore, cleaner and better down South on Tuesday. Following this cleaner and inconsistent W/SW groundswell energy is due later week, but more on this Wednesday. I dont eat chocolate and I'm not religious....still I always look forward to Easter on the Mid. I'm heading to robe for Easter- what would be the pick of the days around that area? Friday and Saturday would be the pick and look for the exposed beaches, swell magnets (can't give too much away) when the swell gets smaller. Winds go funky for Sunday and onshore in the morning. Maybe a wave at 3rd ramp later with S-S/SW winds while Monday looks dicey as well with lingering SW winds. So make the most of Friday/Saturday.